Now there's a name you don't come across very often; so unique that when we do find a new Gushlow that person can usually be placed on our family tree somewhere. My Father, Robert (Bob) Gushlow, used to maintain the family tree and it was him that really had the genealogy bug. Many years after his death I noticed on his family tree website that he had planned ahead and volunteered me to carry on the site after he passed without telling me (cheers for that dad, a heads up would have been nice!! ); I am sad to say that this is a role that I have failed to pick up until now. The old site has been offline for a few years now and rather than just restore it (I have made it available here as part of this site) I felt it was time to migrate from my father's old basic to a more usable and modern site. I am in the process of building a new tree on ancestry.co.uk, it's not complete yet but I'm getting there. If you wish to view the tree please contact me to request access and I will send you an invite (if you aren't invited you'd have to pay to use the site!). If you fancy helping me transfer the old data and expand it further, great! Just let me know. At the time of my father's passing the research into the Gushlow family tree had taken the date back to John Battist in 1748. He had discovered several facts or fiction, or a mixture of both, concerning the family name. 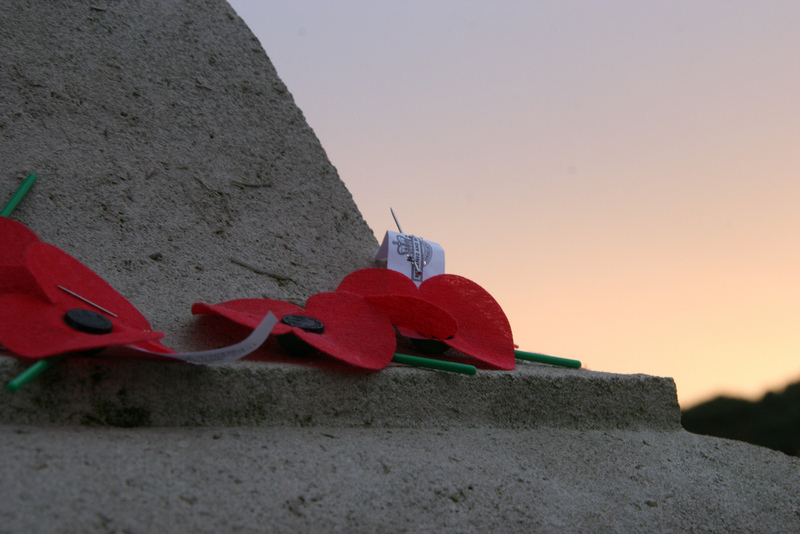 The result of which always points across the Channel to Normandy. 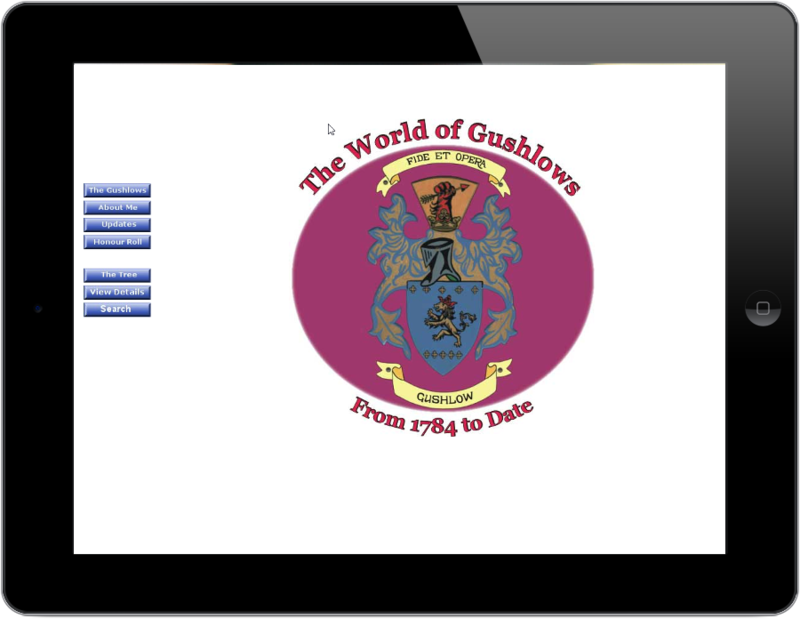 Highland Heights Heraldry Ltd., from where my dad purchased a hand crafted Badge, decided that the name Gushlow was of Norman origin, coming to England in the 13th century as Goshelow. However that appears to be incorrect as the first Gushlow on record, John Henry Battist Gushlow, has John Battist as his father! 1. The Flemish connection with the Huguenot movement, The Revocation of the Edict of Nantes by Louis XIV in October, 1685, began a new persecution of the Huguenots, and hundreds of thousands of Huguenots fled France to other countries. The Promulgation of the Edict of Toleration in November, 1787, partially restored the civil and religious rights of Huguenots in France. And as the Huguenots were French Protestants this would account for all the Battist/Gushlow births, marriages etc., taking place in Protestant Churches in the early years. 2. It was not any connection to the Huguenots but to the rise of the French "threat" due to Napoleon and the French Revolution. As John Henry Battist was born in 1784, he would have been 14 in 1798, when he was told by his father that his real name was Gushlow (Gushleau in the French language). He is stated to have gone to sea in a man-of-war at the age of 14 and on returning from one of his voyages was informed of the name change by his father John Battist. Thus it would have made sense to use an anglicised name, as there was every possibilty of being captured by a French vessel, whilst continuing his occupation as a sailor. According to research carried out by William Caffall (husband of Annie Gushlow ~ 1883-1940), who was an archivist and genealogist, Battist could be a derivation of the Flemish form for Baptist and Gushlow the English form of Gushleau. Again indicating a French connection. Raymond Gushlow has said that years ago when passing through France his mother was certain that they had passed a shop with the sign Gushlow. From the time my Uncle Mick and my father started to research the family tree they had contacted,and been contacted by, Gushlows they had never heard of! A big vote of thanks has to go to Mercy Gushlow, who sadly passed away in November, 2003, and her nephew Malcom Carvell (who had become my dad's unofficial proofreader, critic and mine of information) who through the years had collated enough data to form the trunk and the lower branches of the tree. Also Heather Lord, who lives in Australia, and whose great-grandmother was a Gushlow has contributed and still researching a lot of the data for the tree. And of course to all the Gushlows who have contributed information and copies of documents. My dad had traced most of the living Gushlows in the world even as far afield as the U.S.A. and Australia! But to fill in all the pieces of the jigsaw is a time taking task. There are still a lot of missing links in the tree but with a bit of luck one of the Gushlows is holding a vital piece of the chain. And amazingly quite a lot of the modern history of the Gushlows is missing. 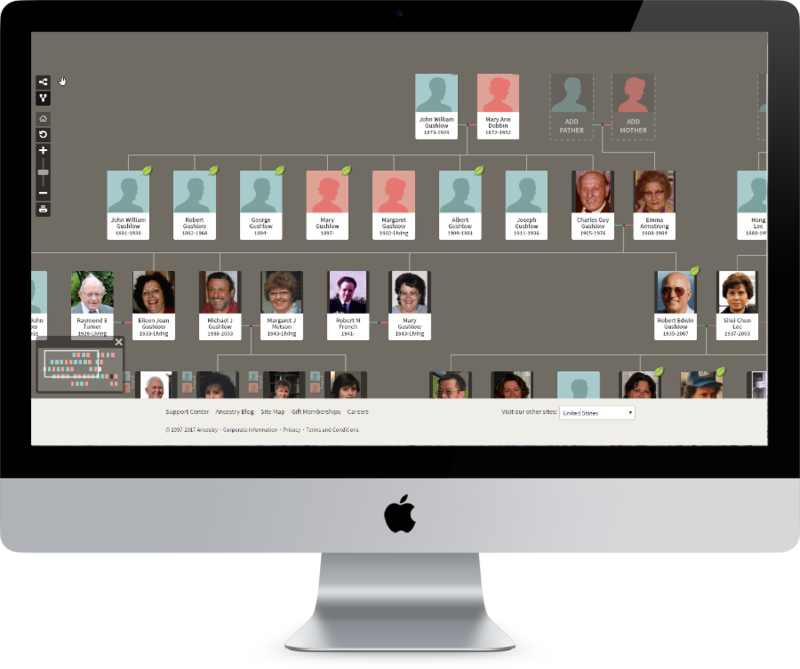 Adapted from the "The Gushlows" page on the original family tree site developed by my father. Thomas James Civilian 92 Crutchley Rd, Catford, London 25 November 1944 Metropolitan Borough of Deptford, Section of the Civilian War Dead Register. Need access to the tree? Want to help maintain the tree? Let me know. Want to Help Maintain the Tree? Thank you for your message I'll be in touch as soon as possible. Or you can find me on the following social media sites.